At the start of 2017 I could never have imagined going to a weekend long conference up in London or doing anything other than sitting there as a nervous wreck. But by the end of 2017 that is exactly what I managed and in fact did stuff that exceeded that ten fold. 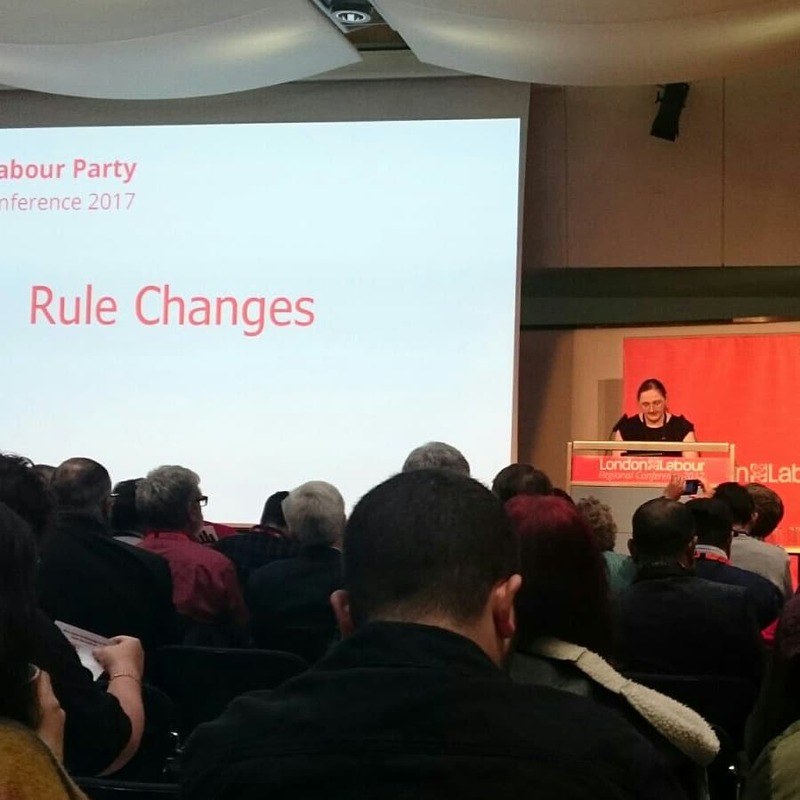 Regional Labour Party’s have conferences every year or two and this year was expected to be a ‘policy and training conference’ for the London region as there were no positions that needed voting on. The training was cancelled and the policy, apart from a handful of motions, came in the form of lunch time fringe sessions and discussions in rooms dotted all around the building. The first day was stressful and did not really combine well with the anxiety that still very much exists within me. By the end of the day I was mentally and physically exhausted and had indeed found myself confined to the main conference hall and it was exactly how terrifying I imagined a conference to be. Conference itself on the first day was a success with a successful vote to reference back to the Conference Arrangements Committee the ability to discuss and vote on rule changes on the second day; it took a lot to get it moved to a vote and there was no clear reason why they kept delaying it for 40 minutes when the mood in the room was very clear. I think their general approach to delaying and trying to needlessly and wrongly control the situation set my anxiety off for the rest of the day. There was a point where I almost did not leave the house on the second day of the conference. My mood was terrible and my anxiety really was not serving me well after the first day of chaos so I honestly was not sure if I could handle what the day ahead faced. 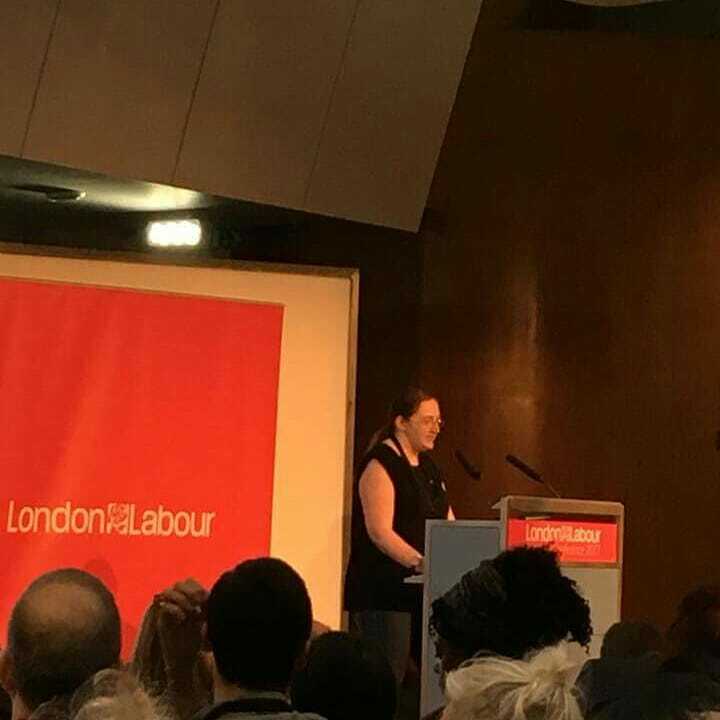 We needed to meet up as a delegation from our CLP though as the agreement to discuss rule changes meant we needed to figure out our position and if our rule change was good enough or if it should be withdrawn in favour of a similar rule change also going to the floor. At that point we decided we needed to do a withdrawing speech in front of 500 delegates and about 100 visitors and staff members and well of course I was up for that. Of course? Me? The person that nearly ran all the way back home when they reached the train station because they hated day one so much was preparing themselves to essentially open the show with a withdrawing speech for rule change one? Apparently so. The speech was promptly curated and agreed. The speakers were called up. I took to the stage with two little microphones attached to a podium in front of me and I discovered there was no timer or little light to give me a heads up of if I was approaching a five minute deadline. There was a risk it would cause me to sprint through the speech but I breathed and prepared myself to carefully read the speech and pay attention to where the spaces had intentionally been added. And suddenly it was over. I had done it. I sort of shook like jelly back to my seat and breathed a huge sigh of relief. Then it was a nervous wait for the similar rule change to be discussed and for a vote to go ahead. The vote was passed. Hooray for democracy and progression towards a less awful system. After that the second day was a lot more interesting and I felt able to engage more but there were still moments when I was super anxious and just wanted to take a big breath out and hide in a corner (I did not). There are a lot of issues with conferences like this one and having anxiety combined with mild autism really made that apparent and it is something that the CAC needs to address in the future because there are just so many small things that happen that make such a conference not at all accessible (this was highlighted even more for the people with physical disabilities). Like a lot of things though calls for change to conference procedures will no doubt fall on CAC deaf ears but as I forever try to be an optimist perhaps they will prove me wrong and next year will be better. Conference, the growth in membership of our Party since Jeremy Corbyn’s election as leader has been incredible. We now have members and affiliates in every neighbourhood, every community and every workplace. Since his election, Jeremy Corbyn has not just brought Labour to the brink of power, winning numerous seats in London in the general election, but changed the basis of politics itself. Sadly, the make up of our Regional Board does not reflect that. One of our frustrations in Croydon Central during the general election was that we were written off by our region. Resources were directed elsewhere, to seats which turned out to be perfectly safe. Thankfully, we elected Sarah Jones as our MP with a majority of over five and a half thousand – ousting a Tory Minister in the process – not because of our Region but in spite of them. Frankly, conference, we were successful only because hundreds and hundreds of members ignored Region’s advice and followed Momentum’s. Our rules can be arcane and confusing. Our representatives can be remote and unknown. In fact so arcane, the only version of the London Labour Party rule book that I could find online, came with a subscription fee. We need a directly elected and expanded Regional Board to represent the needs of all our members and affiliates. We must ensure adequate representation of women amongst both our CLP and trade union representatives. We regret that our rule change did not address the latter. Conference, we were asked by our CLP to raise the issue of outer borough representation. We are concerned that our borough’s growing membership – still relatively smaller than that in Lambeth and Southwark – might not be adequately represented when paired with inner London boroughs. But conference, we do not trust the NEC or the current Regional Board to find a configuration which adequately responds to our concerns. Our rule change as it stands does not make clear enough our worries. The divisions currently in the rule book are an arbitrary disaster and must be abolished. The pressing issue is to make the case for the democratisation of the Regional Board. Rule Change Three offers one way of doing this. We would amend it if we could. Today, we must pass a rule change which places power in the hands of our members and affiliates – with immediate effect, without relying on the Democracy Review to do it for us. But we do urge the Democracy Review to take into account of our concerns, and bring forward proposals to ensure outer borough representation. If they cannot, rest assured conference– we will be back next year. This entry was posted in Politics and tagged anxiety, blogmas, Blogmas 2017, conference, conference speech, corbyn, decisions, delegate, democracy, five minute speech, Jeremy Corbyn, Labour, Labour 2017, labour party, lblog, lblogger, lbloggers, life, Lifestyle, lifestyle blog, lifestyle blogger, lifestyle bloggers, London, london labour, London Labour 2017, momentum, official, on stage, policy, Politics, politics chat, public speaking, rules, speaking, speech, talk, voting, weekend. Bookmark the permalink.